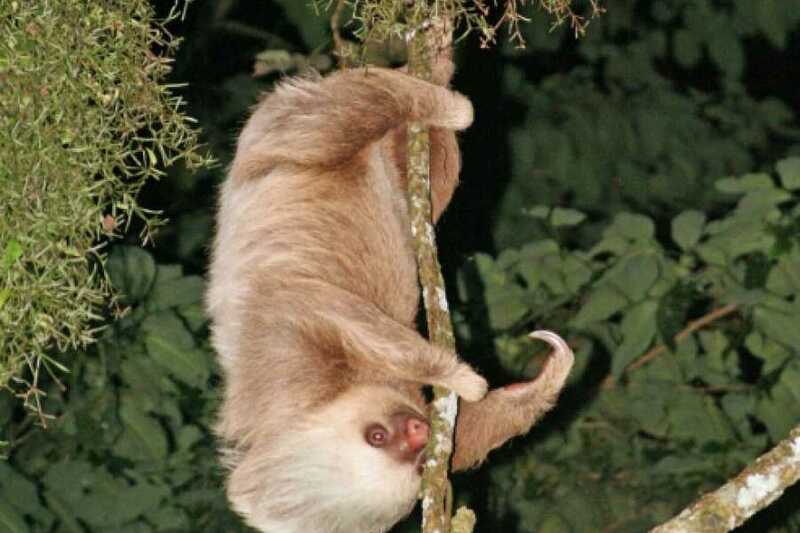 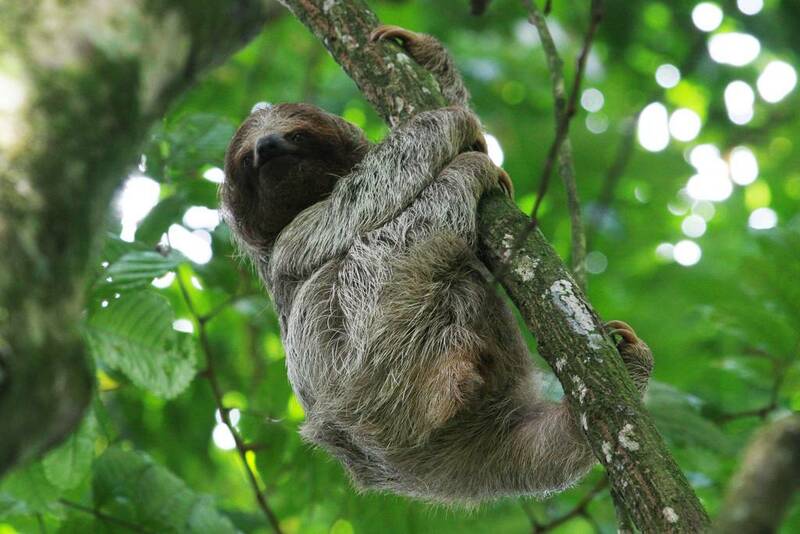 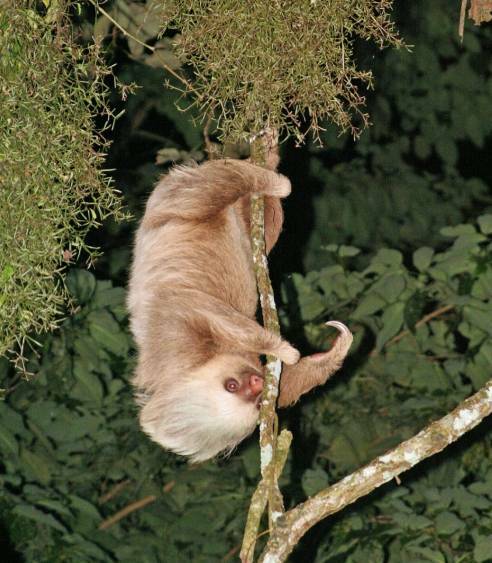 Arenal Sloth Discovery Trip - Tour Guanacaste, bringing Costa Rica to Life. Serving all major hotels and resorts in Guanacaste, Costa Rica. 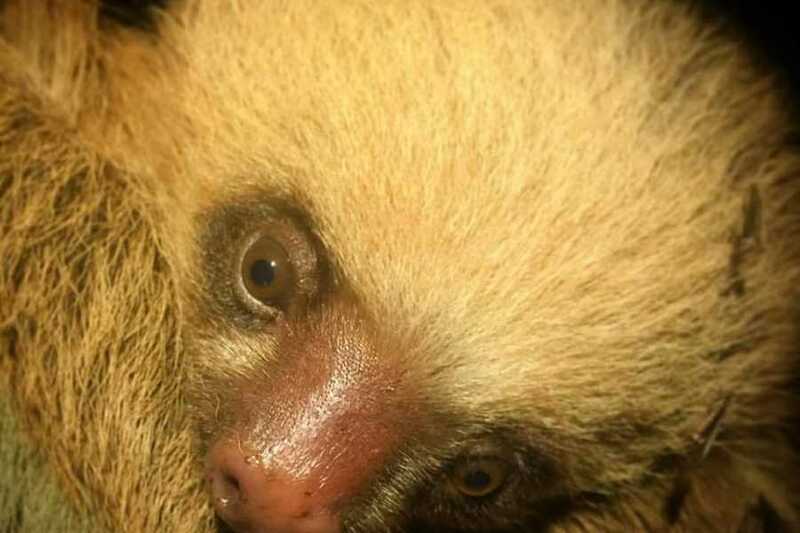 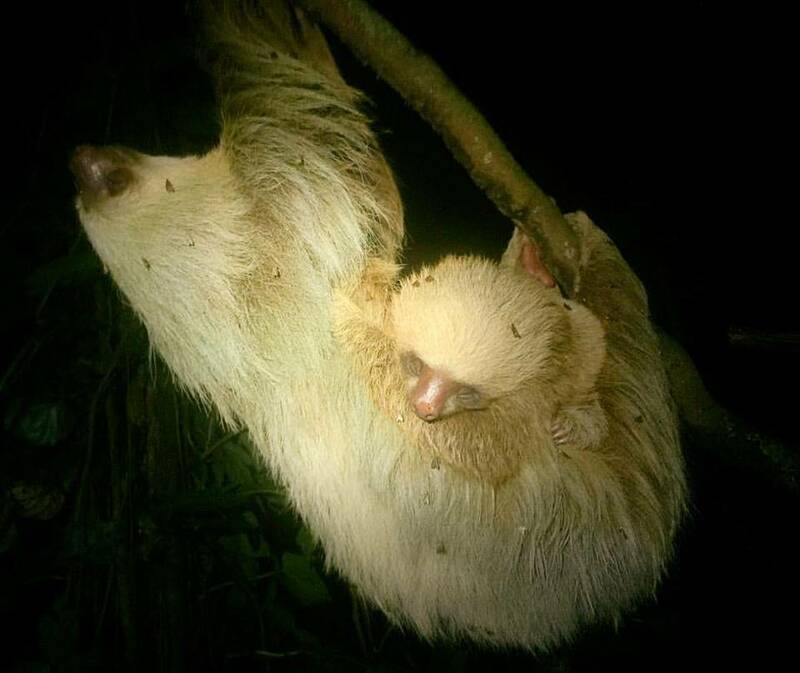 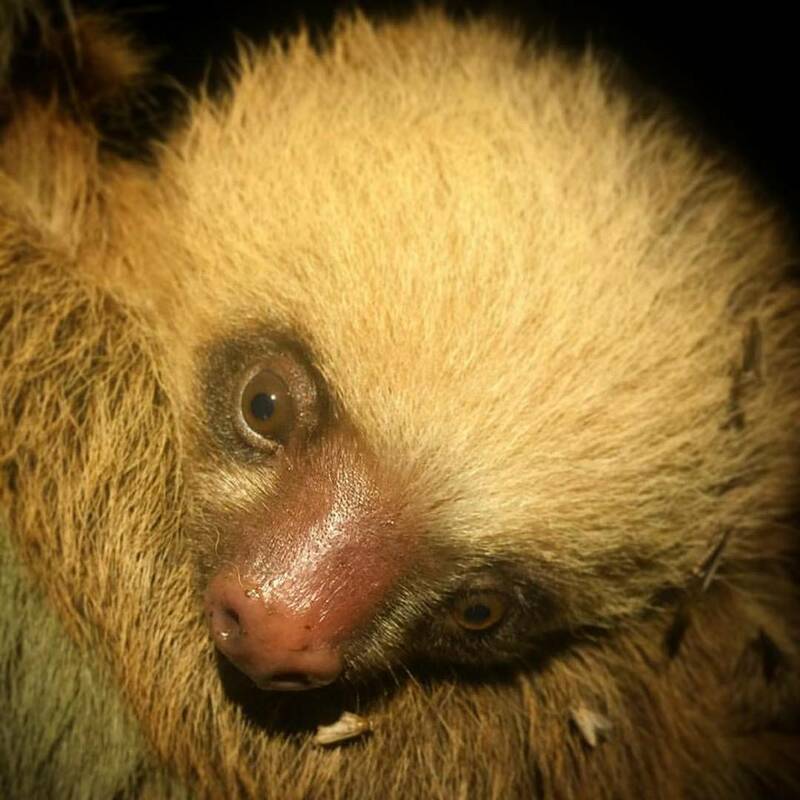 There is nothing cuter than a baby three-toed sloth, especially when you are observing it in its natural habitat. 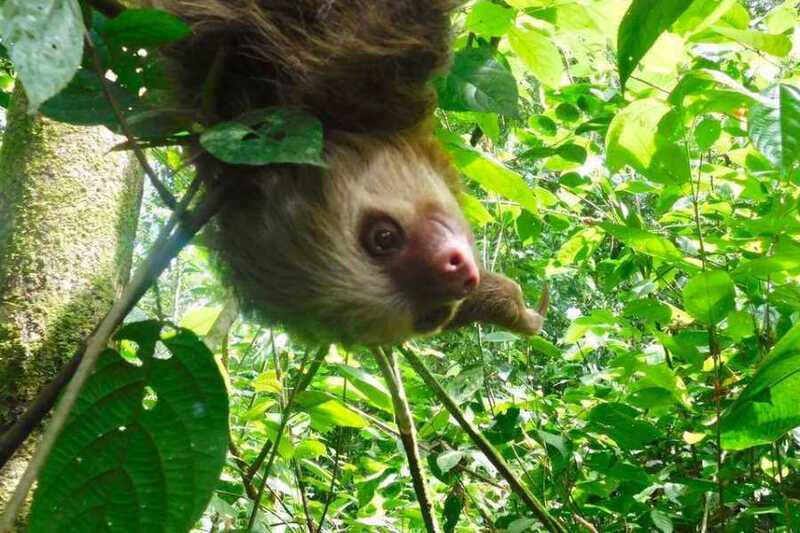 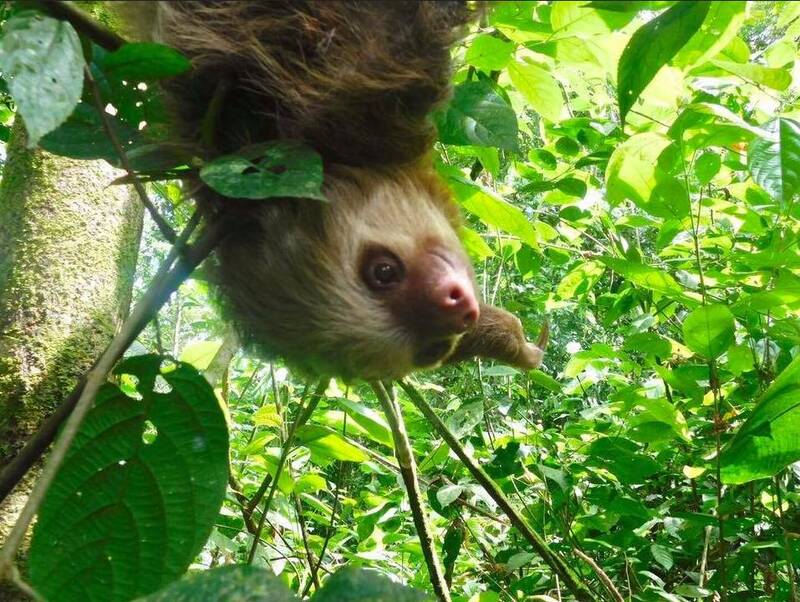 Explore the rainforests near Lake Arenal and the Arenal Volcano, where you can observe sloths up close and personal in their natural environment; there also is an area of 3 hectares of accessible trails to explore, great for all ages. 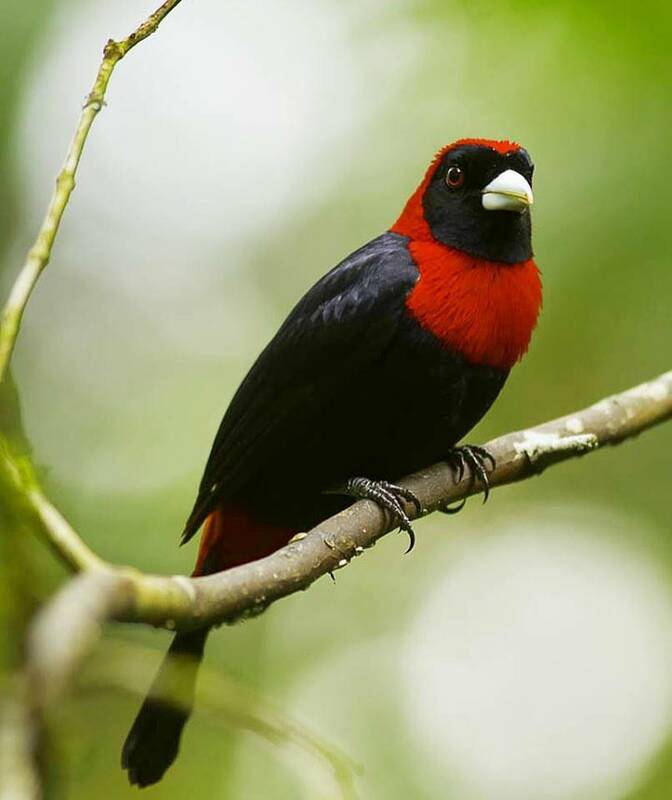 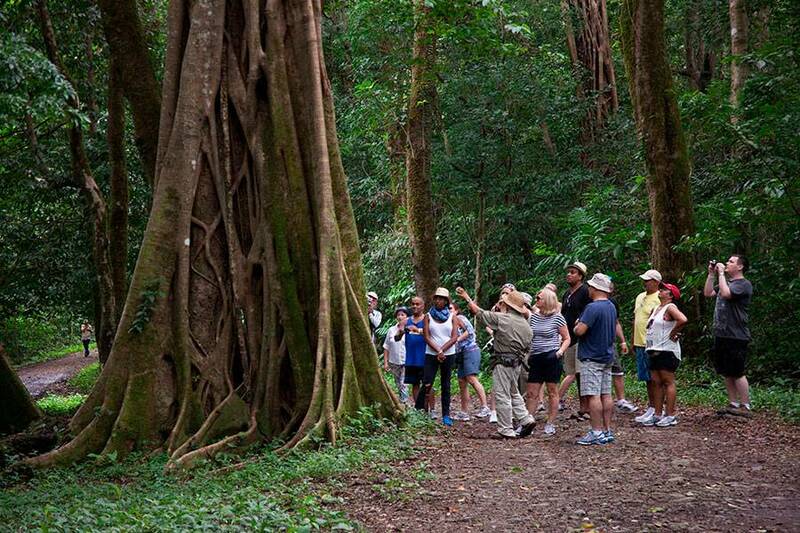 On the trails, you will appreciate the wide biodiversity of the wildlife and tropical plants native to the area, including heliconia, orchids and palms. 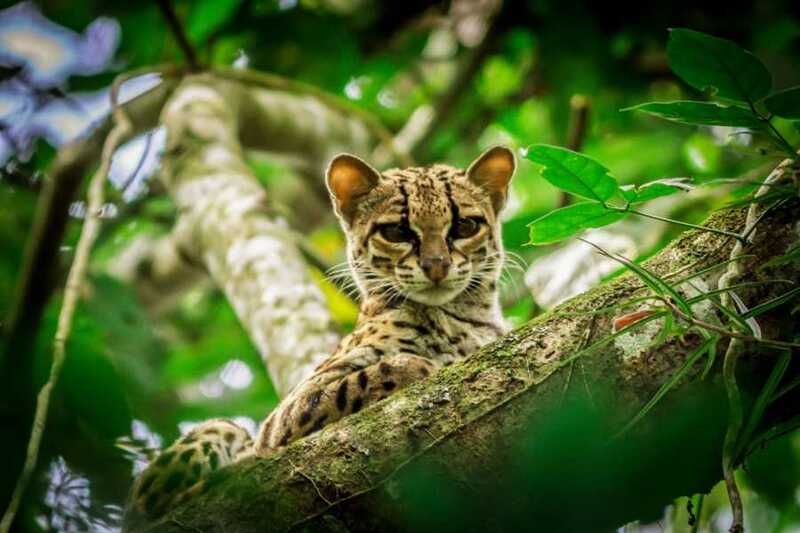 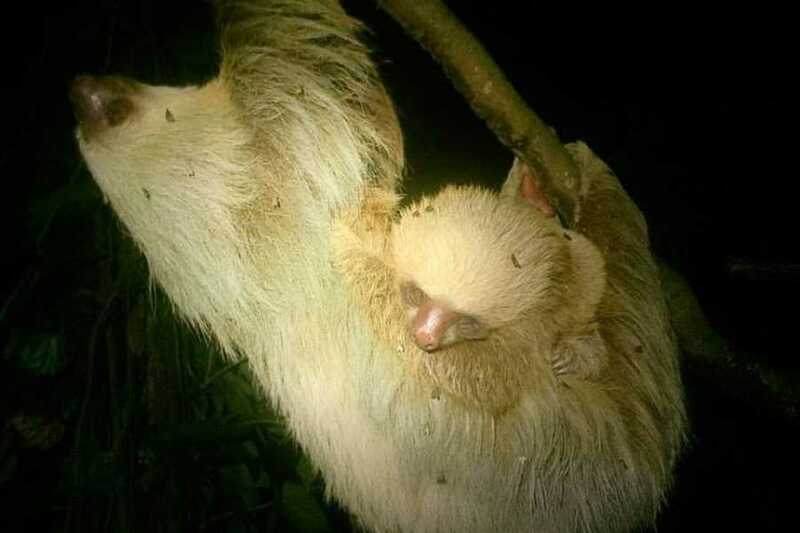 During the tour, you can spot the famous two- or three-toed sloth, Guatusas, large numbers of birds (there are more than 150 different species) basilisks, iguanas, insects, red frogs and others. 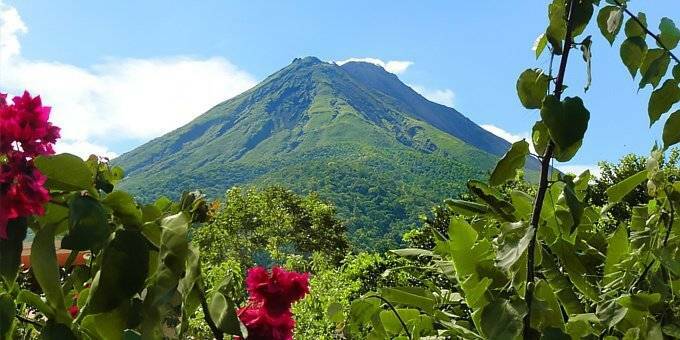 Additionally, there is a butterfly garden with a special exhibit for the display of larvae, pupae and eggs. 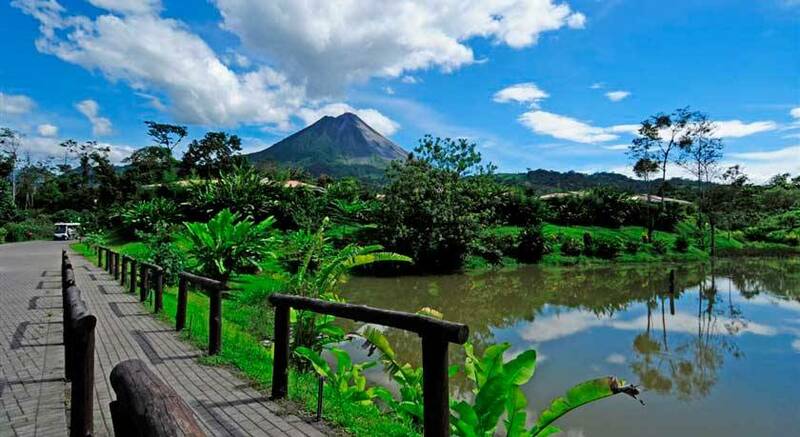 There is a reproduction facility for some 30 different species of butterflies and it is one of the most popular attractions in Arenal. 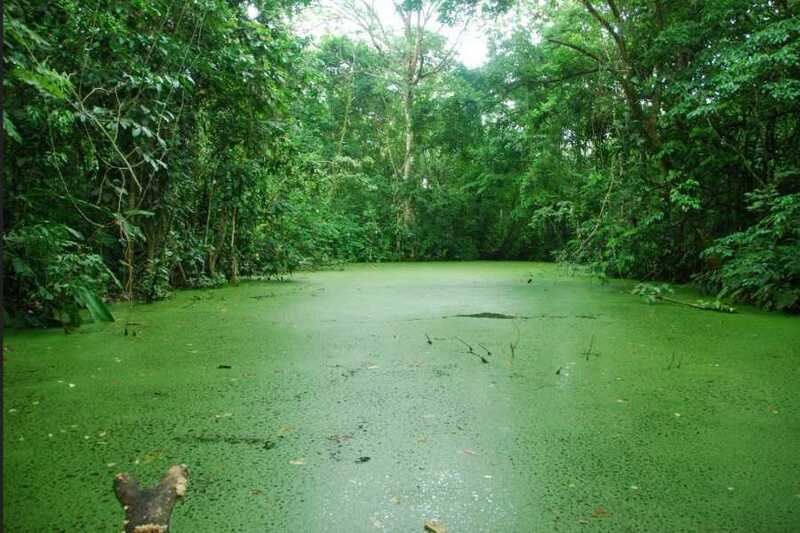 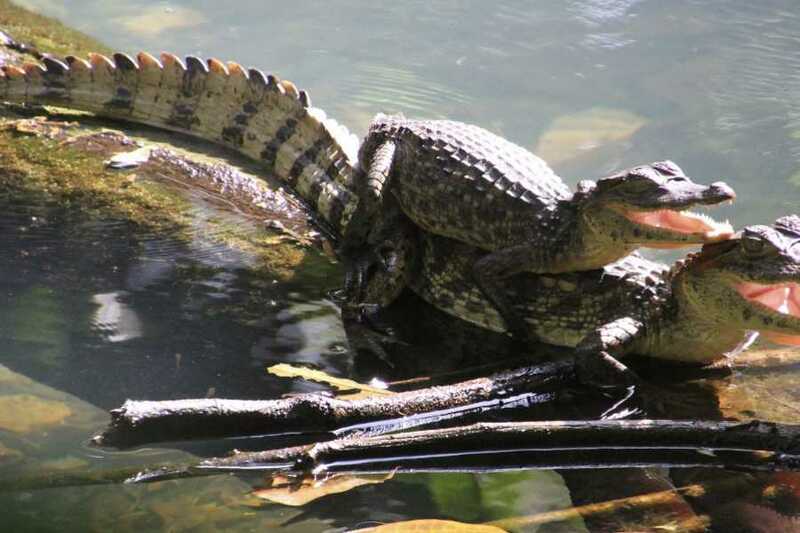 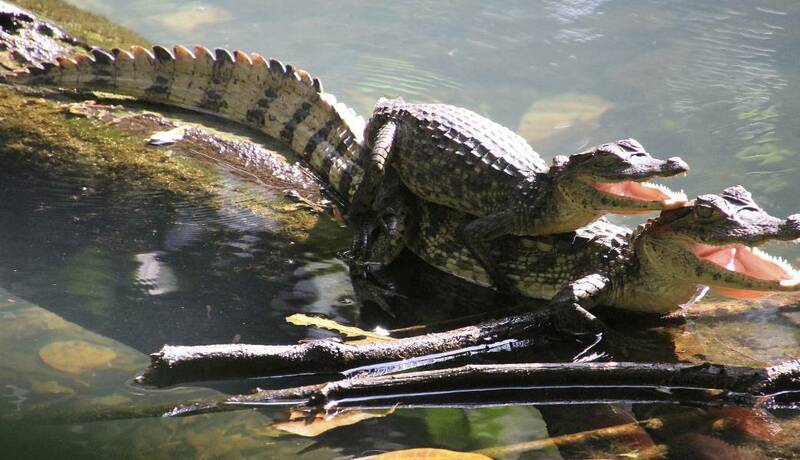 In the middle of the property, there is a lake that is a natural habitat for many species of animals, among which are the Chocuaco (Boat-billed Heron), the red-eyed tree frog (Agalychnis callidryas) and the caiman (Caiman cocodilus) among others. 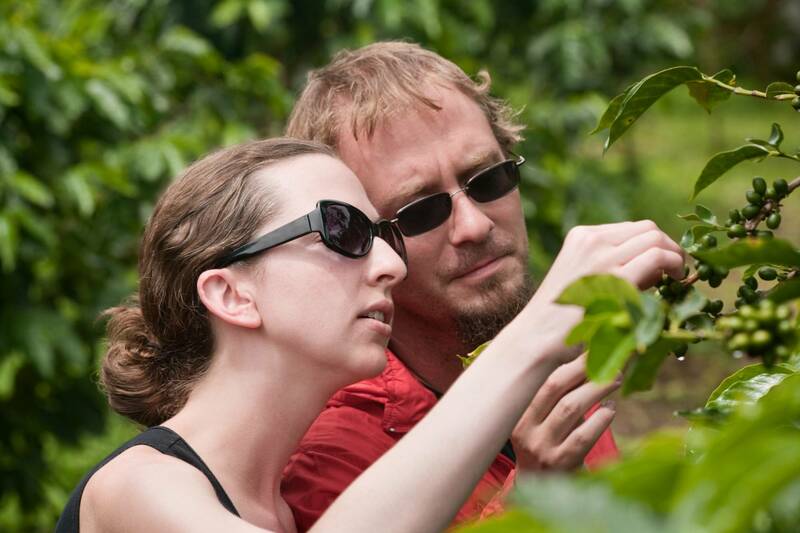 The medicinal plant garden is another attraction. 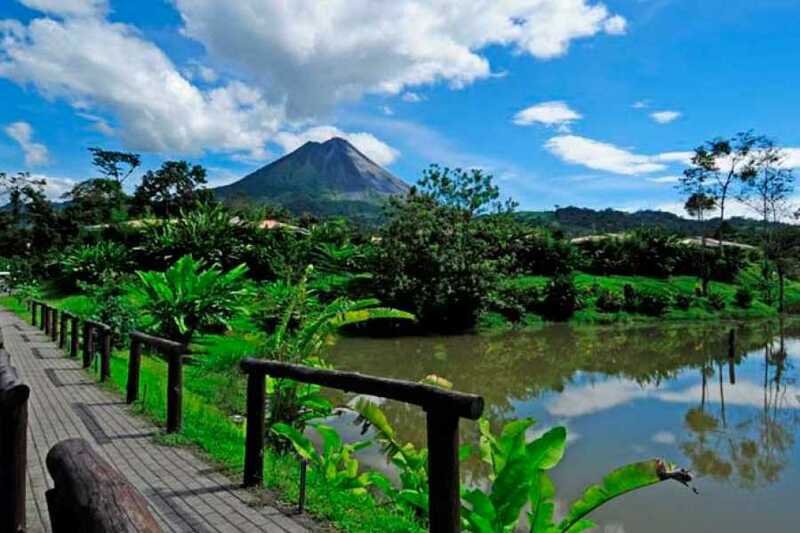 To date, the facility has over 60 different species of medicinal plants being cultivated. 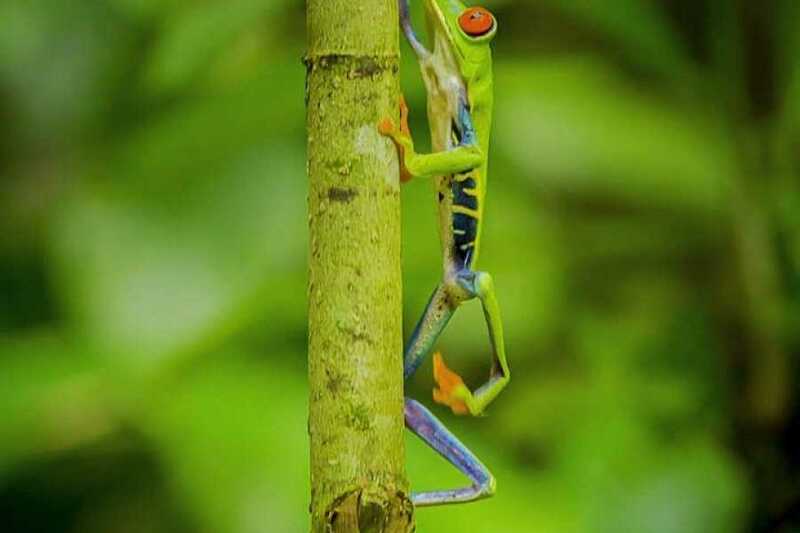 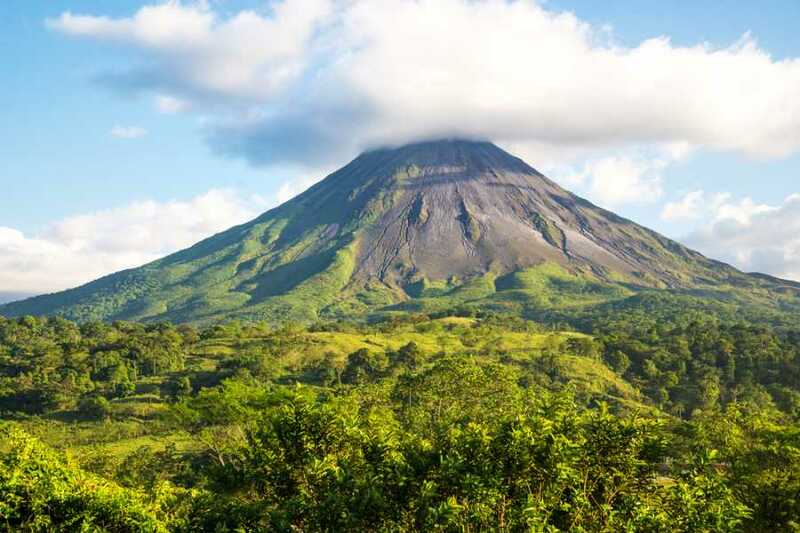 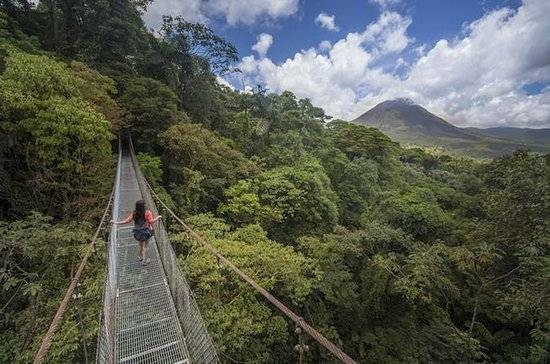 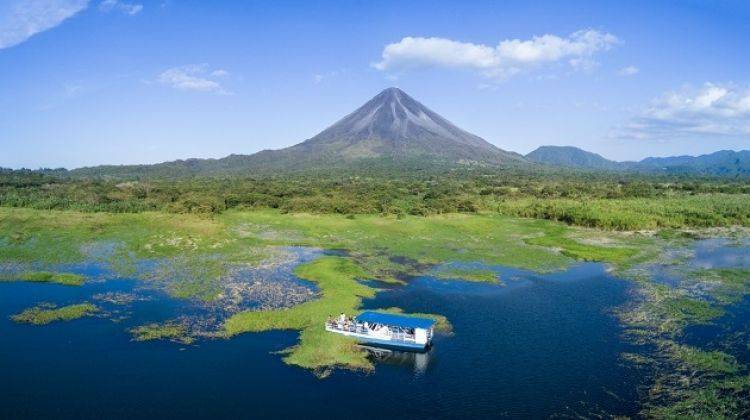 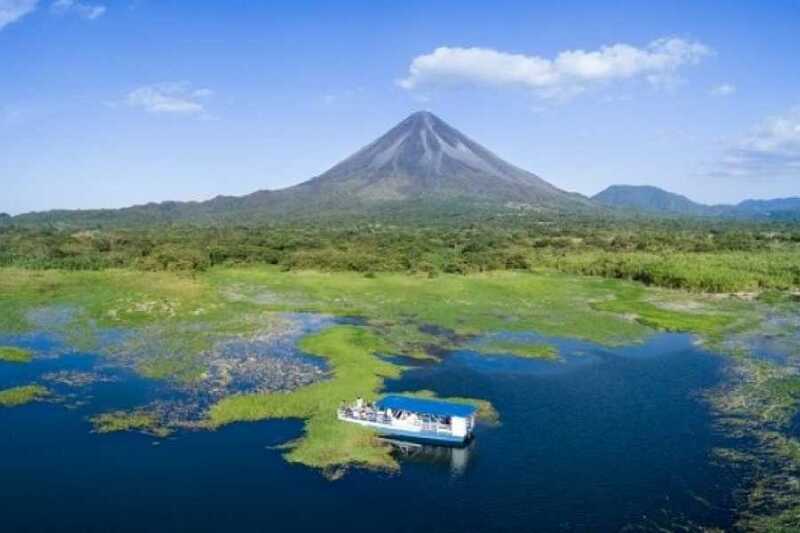 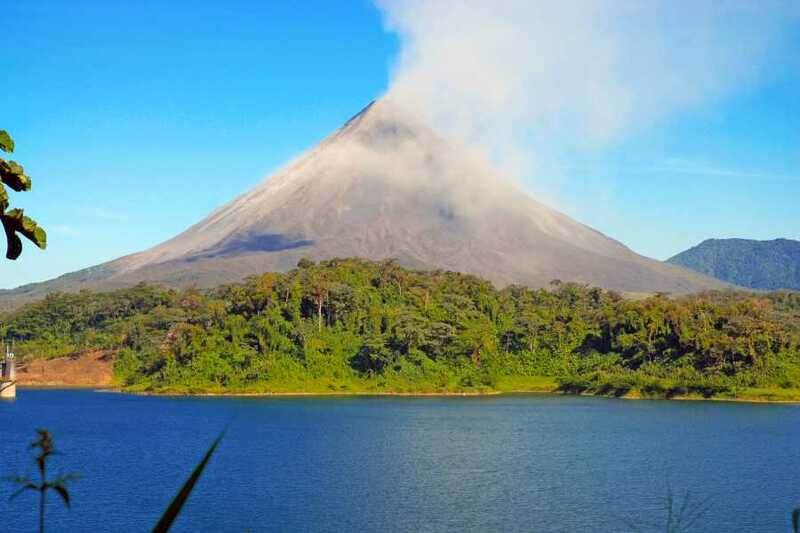 After a hearty Costa Rican lunch, you will experience Costa Rica’s world-renowned Arenal Volcano and Rainforest on the rest of this adventure-filled day trip. 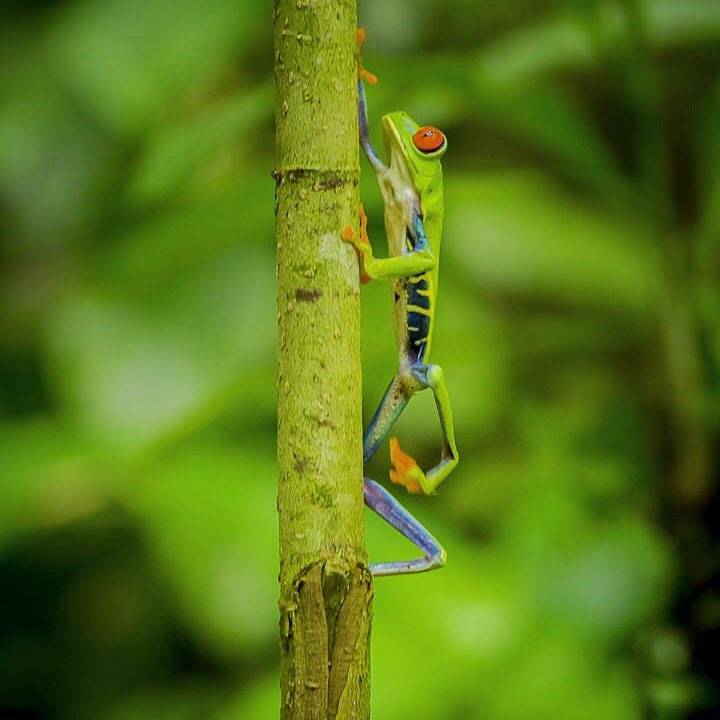 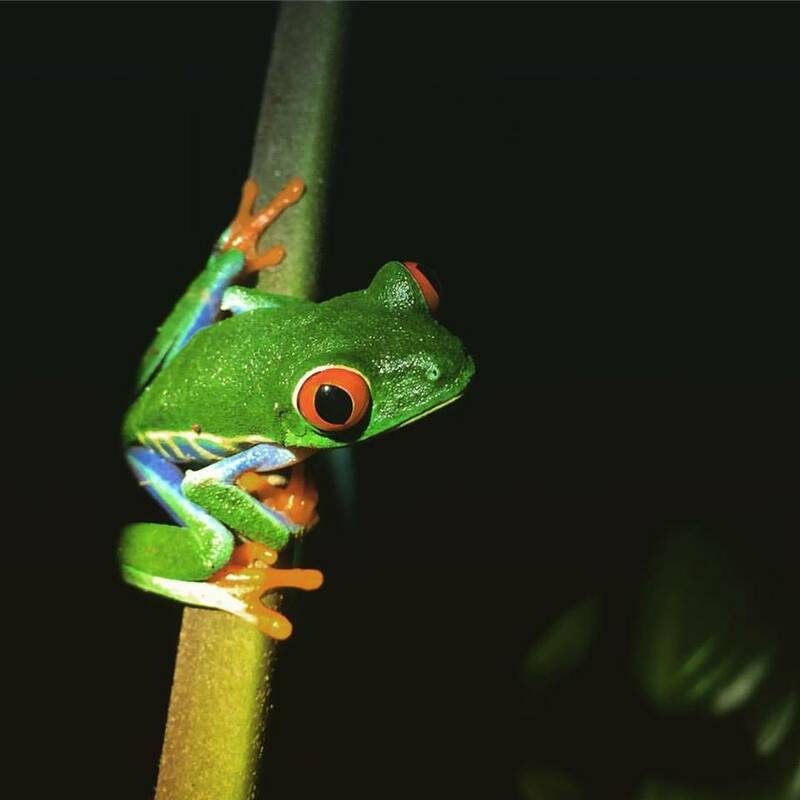 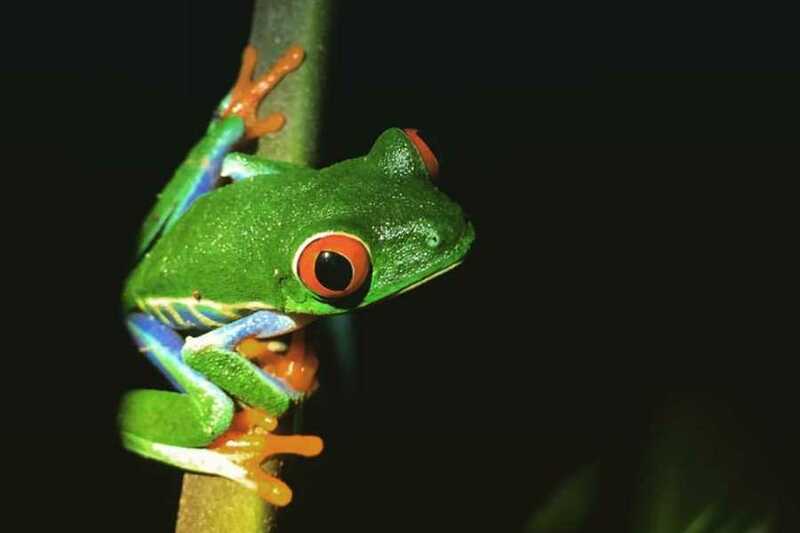 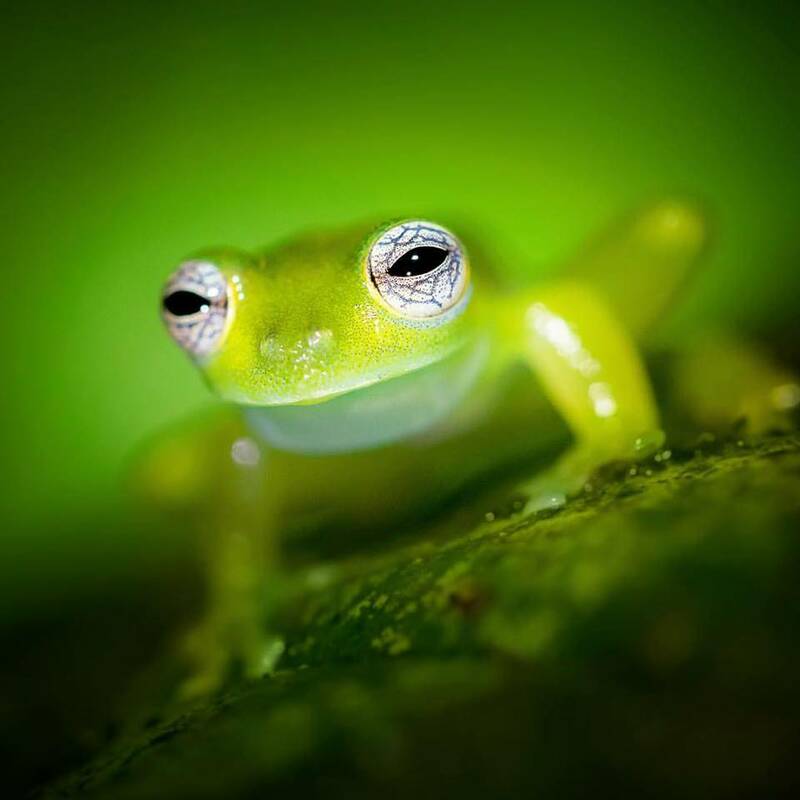 This destination is a must-see attraction while visiting Costa Rica. 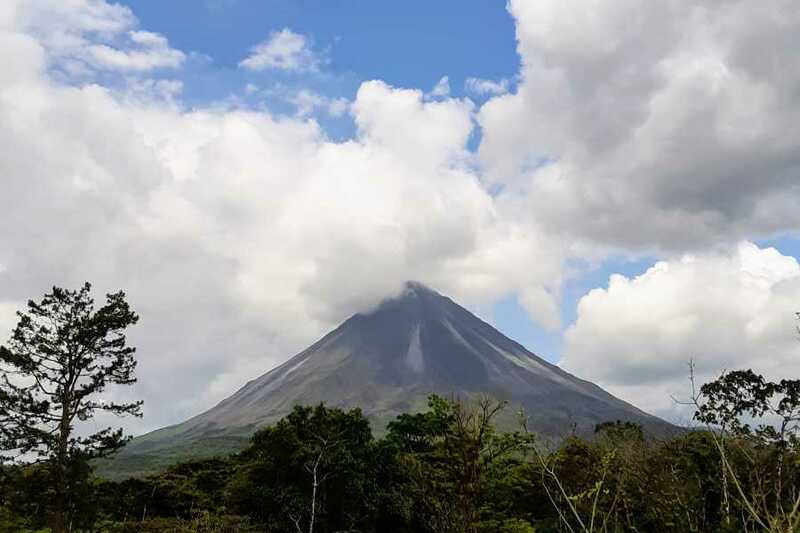 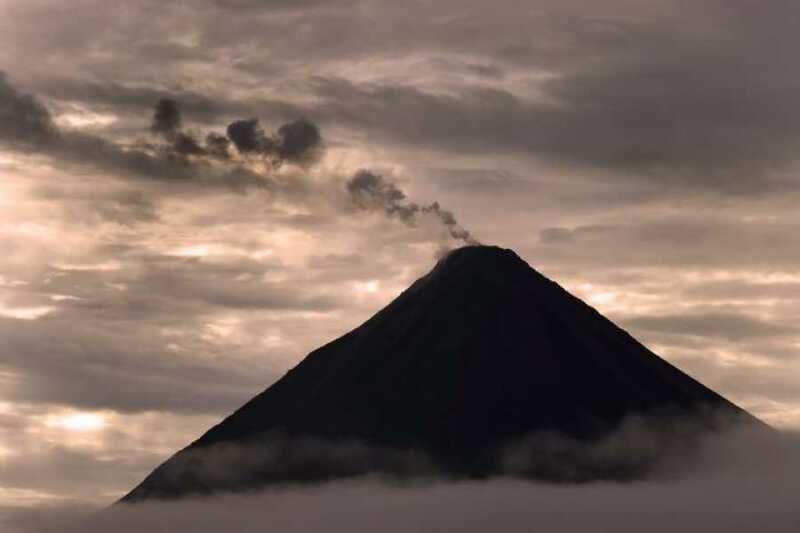 You will discover the enormous and breathtaking Arenal volcano, one of the most active volcanoes in the Western hemisphere. 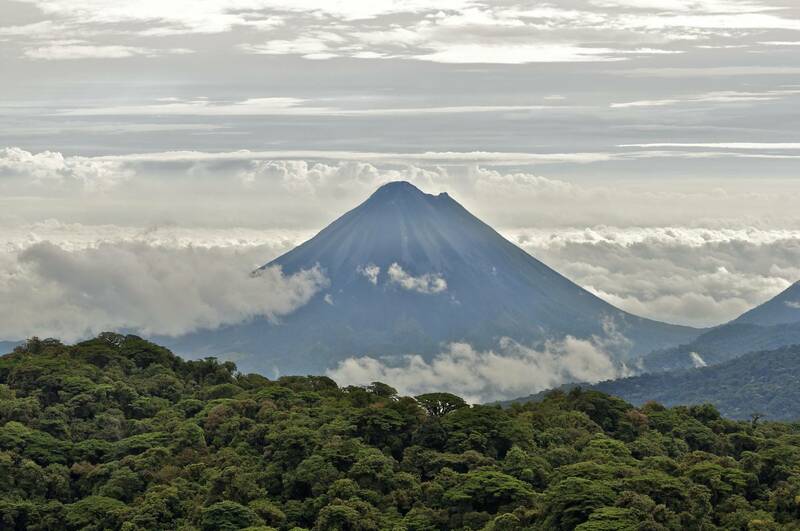 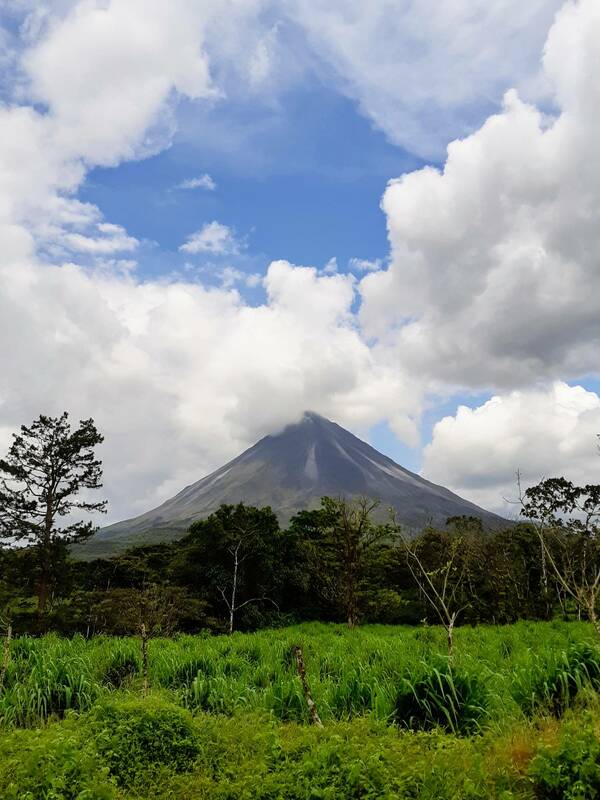 You will go to the Arenal Observatory Lodge where you will be able to explore miles of trails through the rainforest around the Arenal volcano. 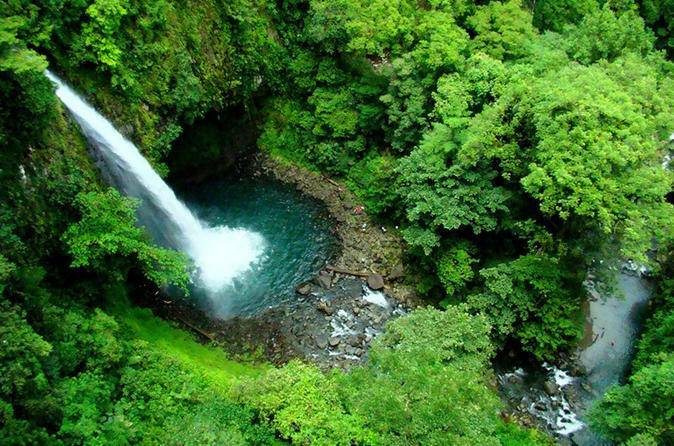 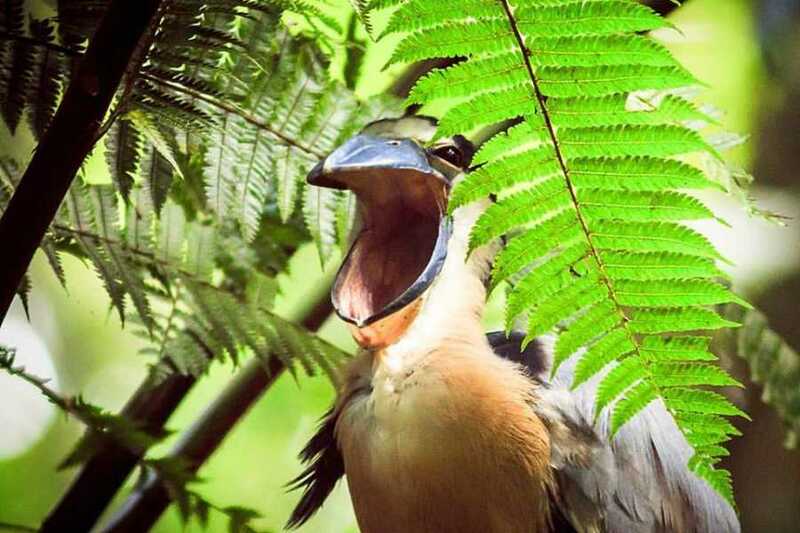 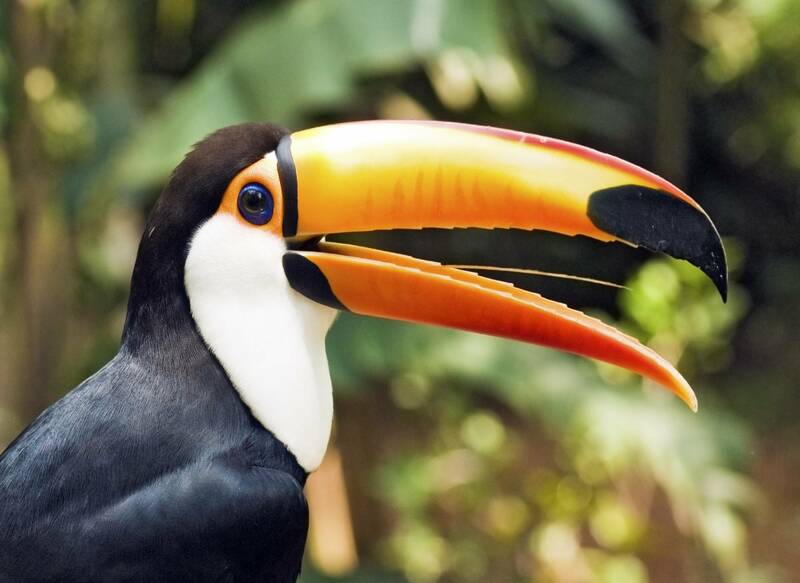 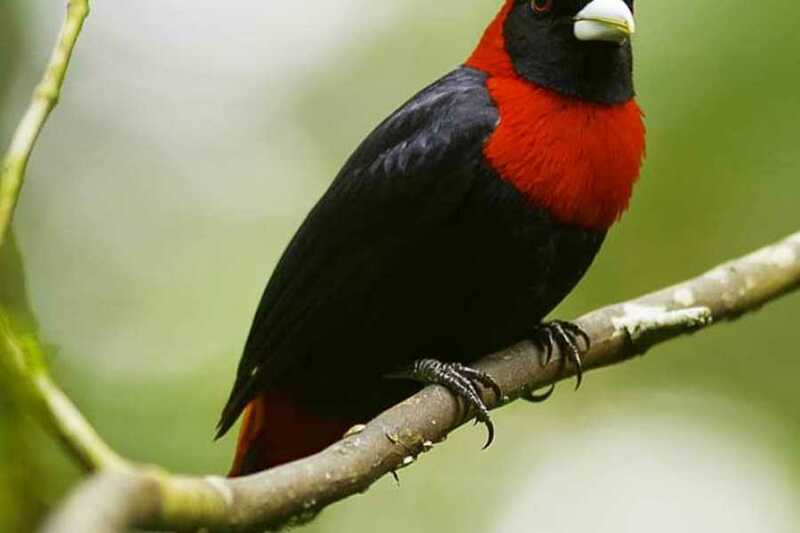 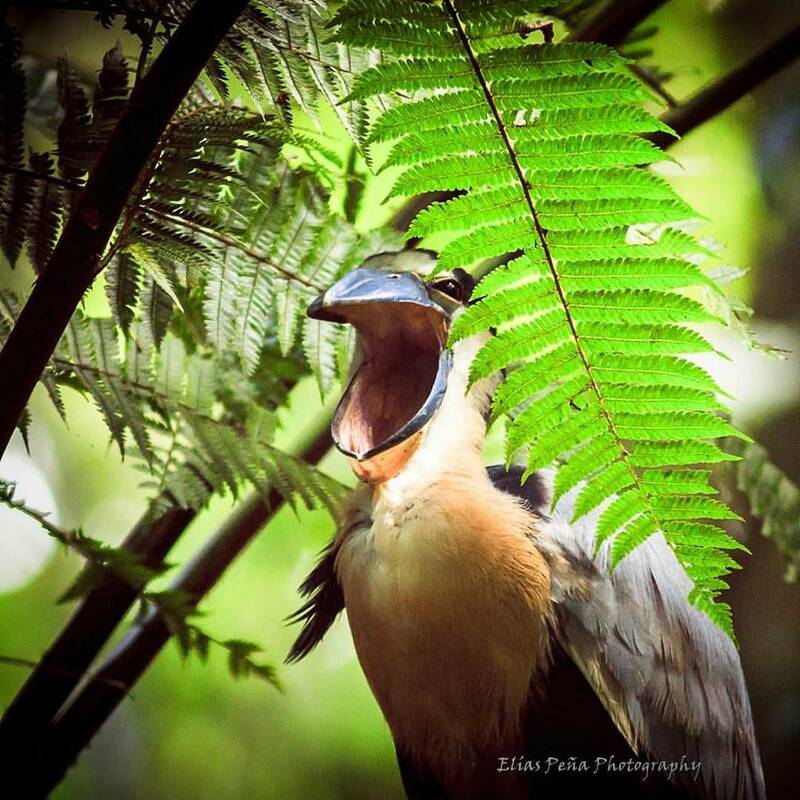 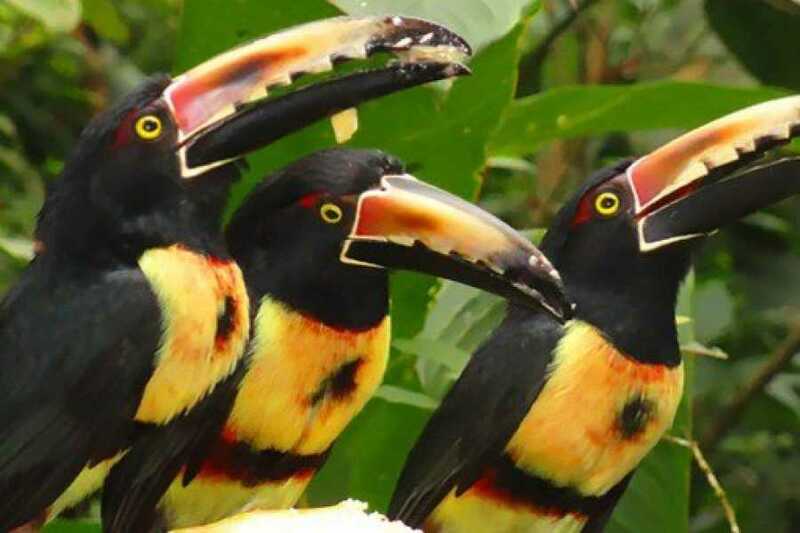 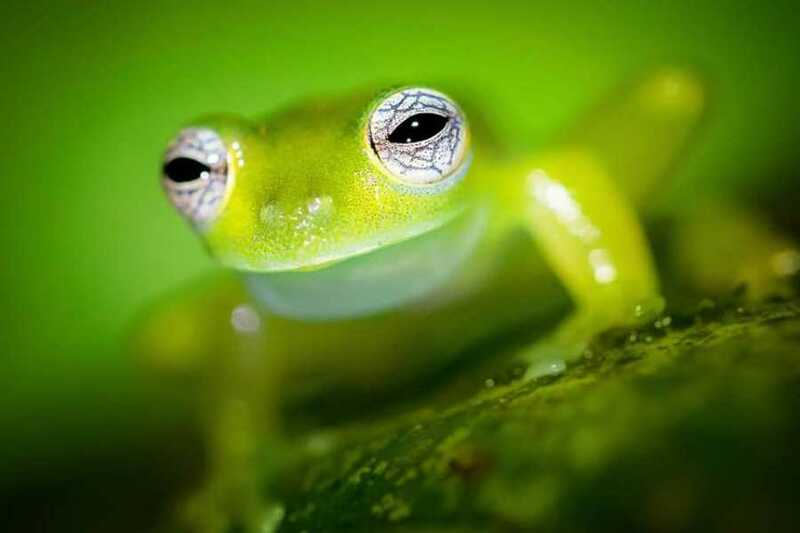 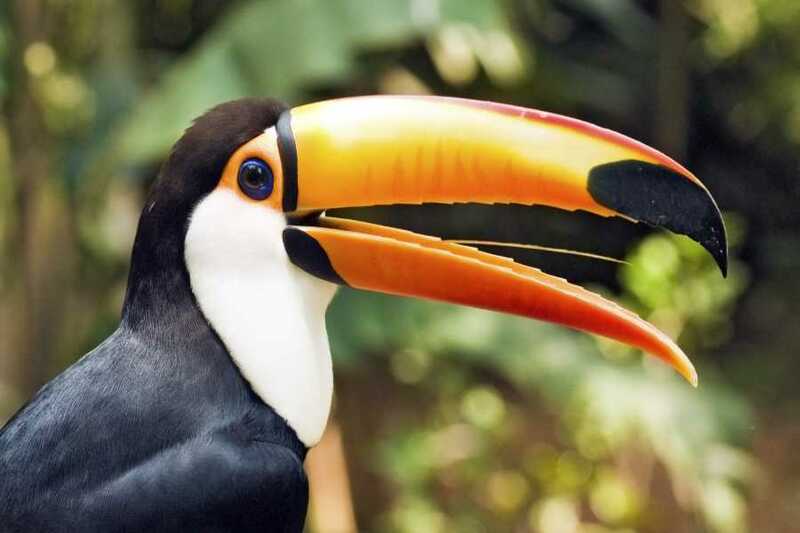 You will have a chance to see waterfalls and a large variety of bird and animal wildlife in their natural environment. 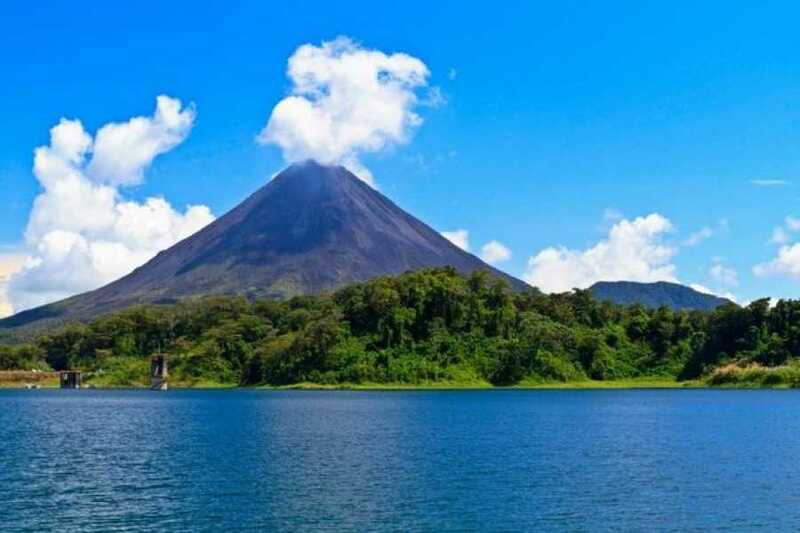 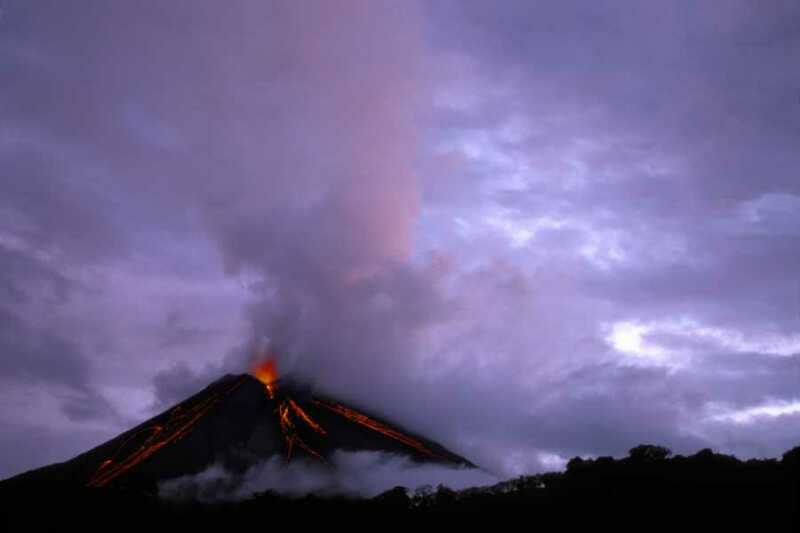 This trip can also include a short shopping trip in La Fortuna for souvenir shopping if you so desire. 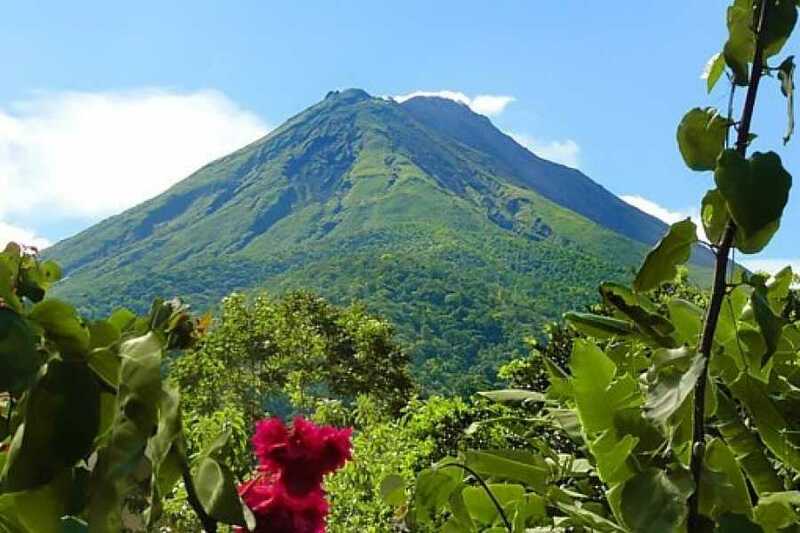 We will pick you up from where you are staying and take you in an air conditioned van to Arenal Volcano Sloth Refuge You will then be taken to the Arenal Observatory Lodge for hiking along dozens of trails through the rainforest with an opportunity to see a waterfall and a variety of wildlife when you are done you will be taken back to where you are staying. 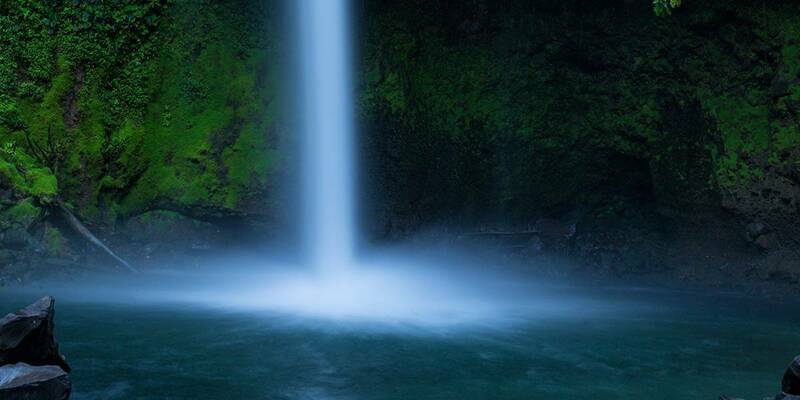 Drive times and pick up times vary depending on location.